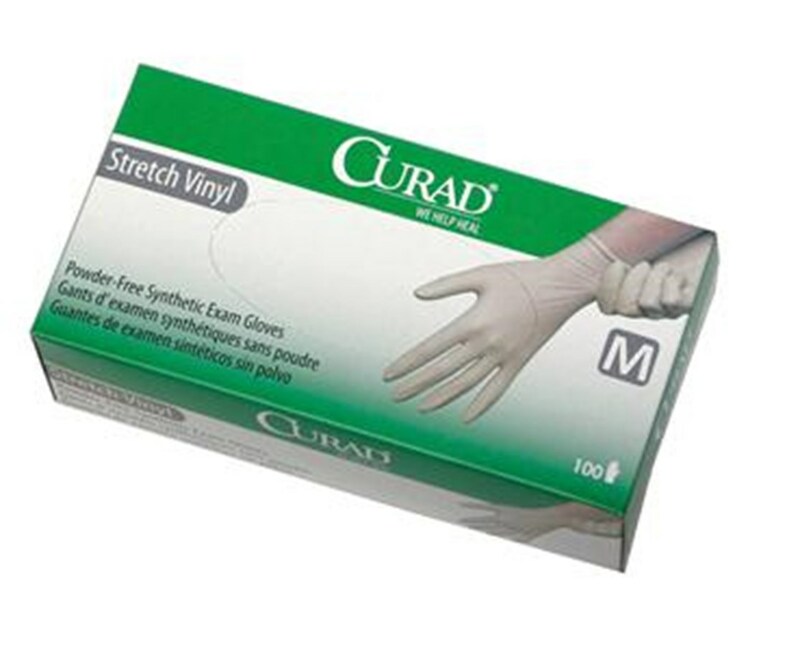 Curad Stretch Vinyl Exam Gloves are made with an advanced formulation stretch vinyl that conforms to the hands for excellent sensitivity when touch is critical. They're easy to put on and take off, and tapered at the cuff to minimize cuff roll down. The gloves are latex-free, powder-free and non-sterile, with a smooth texture and a beaded cuff. 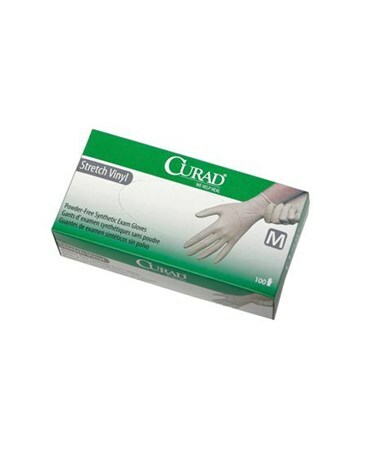 We offer Curad's Stretch Vinyl Exam Gloves in four sizes, three quantities for each size (only two quantities for Extra Large). Select from the drop down menu above.